Earth Day is Sunday, April 22, and for the past few years I've enjoyed sharing a few of the eco-friendly products that I've reviewed and loved. Several weeks ago I received some wooden toys from Blue Orange Games to review, and we've been enjoying them so much that I've decided to give this year's Earth Day roundup a theme: eco-friendly toys and games. Despite all the videogames, remote-control cars, laser guns and plastic ponies my kids play with, there's a special place in my heart for wooden toys. They look great, they last forever, they don't need batteries, and they don't come with annoying chirps, beeps, wails or endless renditions of Justin Bieber's Baby! They're the ultimate in eco-friendly, and despite their simplicity, they can entertain for hours on end. This was a mealtime must at our household. I love the suction cups that let you stick this maze onto high chair trays, coffee tables, even stroller bars, so it doesn't get knocked over by baby's zealous efforts to grab the brightly colored beads and push them along. 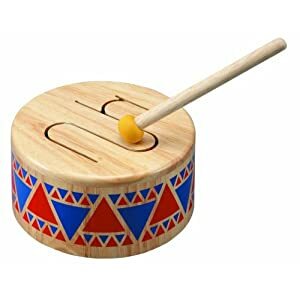 We bought this for 3Po and Jammy when it became clear that our pots, pans and coffee table were in danger from our babies' insane desire to make noise by hitting something. This drum sounds wonderful, and it gave us many, many years of music-making pleasure. 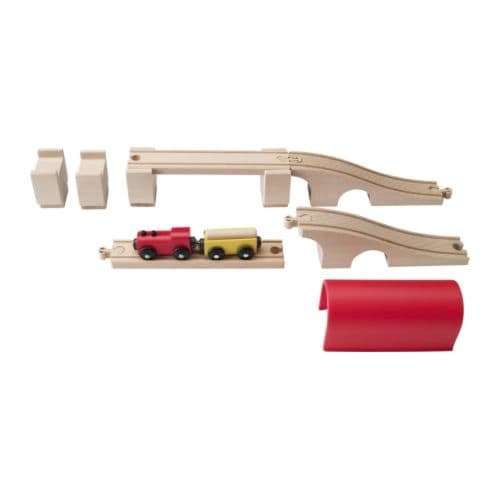 For preschoolers: IKEA Lillabo wooden train setWhat child doesn't love a wooden train set? Unfortunately, the famous Thomas the Tank wooden train sets don't come cheap, so they're out of the price range of many families. This 12-piece set from IKEA, at just $9.99, is an affordable starter set, or a great add-on set for those who want to splurge on the Thomas trains, but not the Thomas tracks. It's like a low-tech (but high-fun) pinball machine! Kids use the elastic bands to send their wooden disks flying through a small hole in the center bar, into their opponent's side. The person to get all 10 disks onto their opponent's side wins! It's a lot more challenging -- and addictive -- than it looks, and even though the starting age range is 5, this is a game that the whole family will get into. The goal of the game is to line up 4 pieces in a row, but this is so much more than tic-tac-toe. 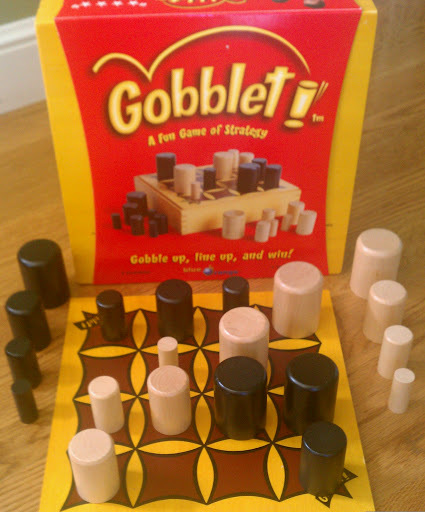 Game pieces nest into each other like Babushka dolls, and you are allowed to "gobble" up your opponent's pieces to block their progress. Even when all the pieces are on the board, you can keep going (by gobbling pieces), so it turns out to be quite a challenging game. I love this game because kids can play it with adults -- and kids can win! Rotate the sections of the tower to get all the wooden beads of the same color line up on the same floor. Just like a Rubik's cube, but cuter! This is the easiest in a series of 3 pagoda puzzles, so once your child figures it out, he can move on to the more complex versions. I'm great at cramming things into a suitcase, but this getting these 11 pieces to fit into the wooden box is beyond me. Fortunately, the puzzle comes with a solution, so neat freaks who can't complete the puzzle can still pack everything neatly away. 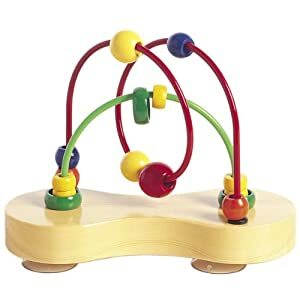 What are some of your favorite wooden toys? Happy Earth Day! Disclosure: I received Gobblet! 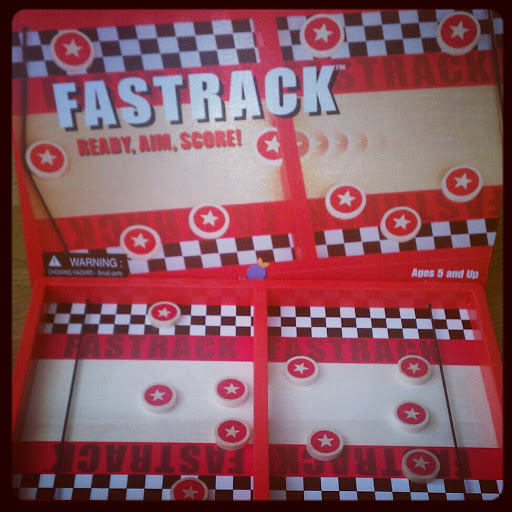 and Fast Track from Blue Orange Games to facilitate my review. 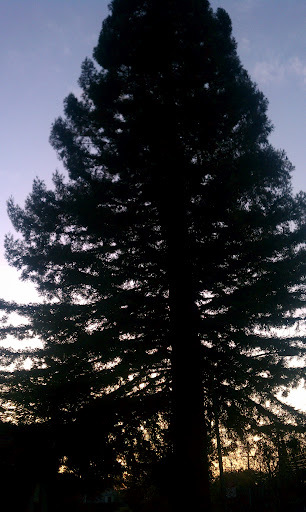 The views and opinions expressed here are my own. It's like a low-tech (but high-fun) pinball machine! Children use the flexible artists to deliver their wood made drives traveling through a little opening in the heart bar, into their opponents part.